Prestige windows add real value thanks to outstanding energy performance, secure hardware, and easy-maintenance features. Superior windows and doors start with quality construction. Prestige products are crafted with the utmost attention to energy efficiency, durability & beauty. Our professional installers have installed countless home renovation and new construction windows for our wonderful clients! Our installers in Medicine Hat Alberta, Regina Saskatchewan and Swift Current Saskatchewan travel hundreds of km's to surrounding communities to install slider, single-hung & hopper windows. A hopper window is a single style window. 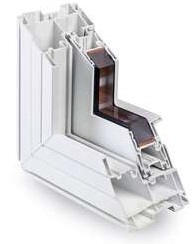 Hopper windows swing inside and hinge at different degrees..